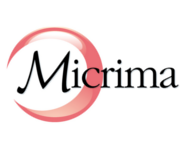 Micrima, the Bristol-based company developing a safe, low-cost system to improve the detection of breast cancer, has secured a further £600,000 of investment taking the now closed finance round to its maximum £1.5m raise. The company, originally a spin-out from the University of Bristol, has secured additional funding from both existing and new angel investors together with matched funding from the Government backed Angel CoFund. Following a third successful clinical trial, the system that will allow women of all ages to be screened for breast cancer in GP surgeries, or alternative High Street locations, has now commenced a significantly larger clinical trial en route to developing a commercial system for its initial market application. The emerging system captures, in just eight seconds, high-resolution, 3D images through the use of harmless radio waves. This round’s investment will fund further targeted improvements of the imaging system’s performance, the collection of a critical mass of validating clinical data at Bristol’s Southmead Hospital and the staffing up for product development and early work on the necessary processes that will enable future regulatory approval. The MARIA imaging system is not only safer and cheaper than current breast screening methods, it should also provide more reliable results in younger women who are overlooked for screening at present, with the additional benefit of being more comfortable for women undergoing the test. The MARIA technique uses an innovative radar system developed from land mine detection by a team at Bristol University led by Professor Ian Craddock, Professor of Electrical and Electronic Engineering, and Professor Alan Preece, Emeritus Professor of Medical Physics. The project is founded on Professor Ralph Benjamin’s pioneering work on microwave focusing. The latest clinical trial, completed in 2011, showed a diagnostic success rate of around 80% and already represents a strong competitor to X-ray mammography in dense tissue. The team are aiming for a success rate of over 90%. Breast cancer is the most common cause of death in women between the ages of 35 and 55 in Europe, and the leading cause of death in many countries. Early diagnosis dramatically improves survival rates, yet most tumours are not discovered early enough – particularly in younger women.